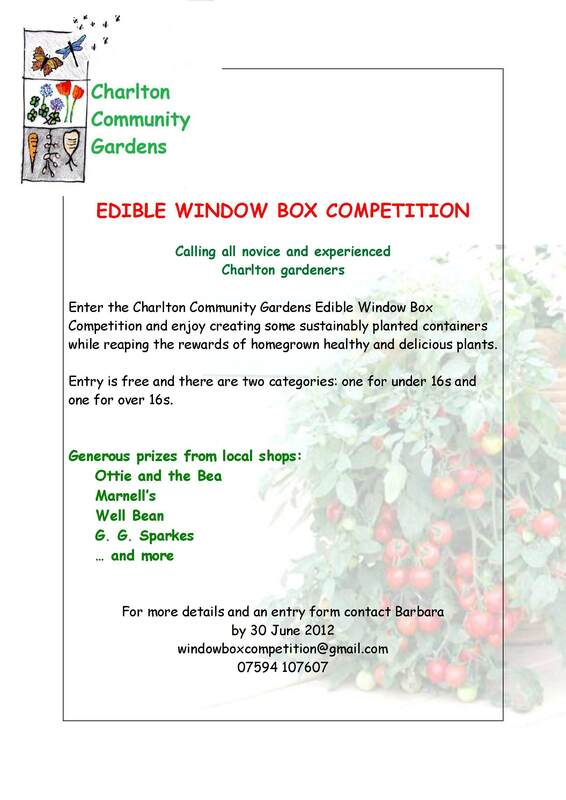 Claire Williams from the Charlton Community Gardens project sends us more details for the edible window box competetion. Charlton Community Gardens are calling all novice and experienced Charlton Gardeners to take part in an edible window box competition. Enjoy creating sustainably planted containers while reaping the rewards of homegrown healthy and delicious plants and being in with a chance of winning generous prizes donated by local shops Ottie and the Bea, Marnells, G. G. Sparkes and Well Bean. Ideas for edibles can include flowers such as nasturtiums, violas and lavenders, as well as the more traditional tomatoes, peppers, herbs and many more. Entry is free, to both the under 16s and over 16s categories and judging takes place in the first week of September. For more details and an entry form, please contact Barbara by 30 June on windoxboxcompetition[at]gmail.com or call 07594 107607. After months of hard work the Charlton Parks Reminiscence Project is up and running. 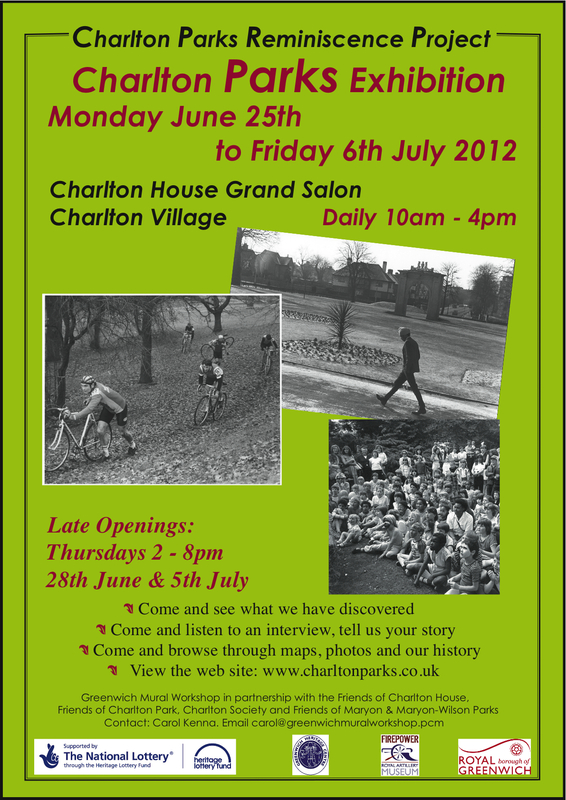 This is a lottery funded project that aims to archive information about Charlton’s parks including stunning photographs, historical documents and recordings of local people’s memories. A final open event is being held on Monday 25th June to Friday 6th July 2012 at Charlton House, Grand Salon between 10am – 4pm (Thursdays 2 – 8pm). However if you can’t wait that long then their associated website is ready now. There you can see dozens of photos and can listen to scores of interview extracts, with local people talking about the bandstand during the war, memories of the lido, clambering around Gilbert’s Pit and much more. The website will be hosted initially for five years and archived with the Greenwich Heritage Centre and maybe even the British Library. Discussions are underway as to how the site can be kept up to date during that time and possibly further into the future. At the forthcoming exhibition school groups as well as the general public are welcome. There will be special activities for visiting pupils to encourage them to actively participate in exploring their local history and further interviews will also take place. Sainsbury’s and M&S site: Should Woolwich Road be downgraded? Simon Hall, Charlton resident and the chair of the Charlton Riverside Action Group, sends us this message. 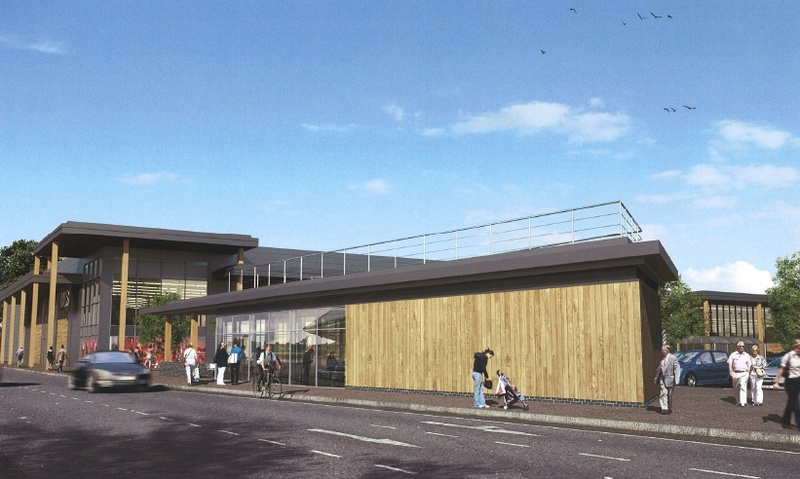 As previously reported, the planning application for a new Sainsbury’s/M&S has been submitted. Considerable debate ensued, and CRAG organised a public meeting attended by the developer – LXB, a number of councillors, and about 25 residents. It was really good to see such a good attendance, and great that our views were appearing to be heard. However a decision has still not been made. The application is now likely to come before a planning committee, although to date we do not know when this will be. 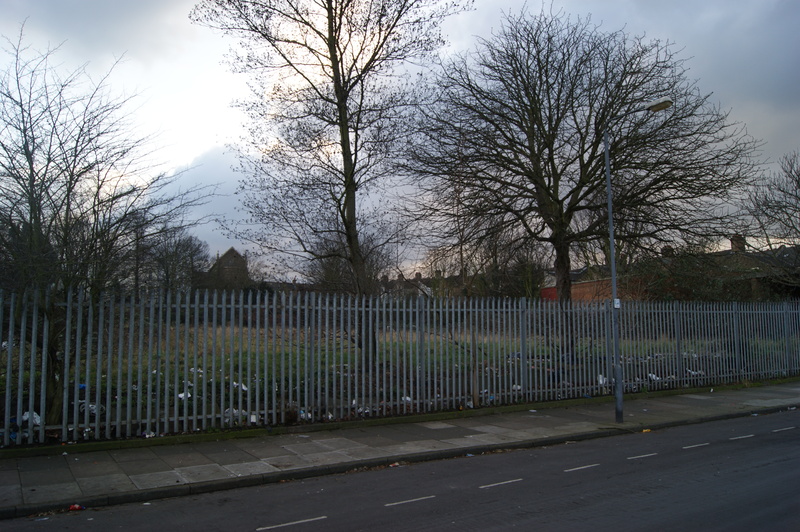 Many of the objections to the development centred around the fact that the application, as submitted, ran counter to the Masterplan for Charlton Riverside – adopted by the Royal Borough in April this year – which included an ambition to downgrade Woolwich Road between the A102 and Charlton Church Lane. In order to keep up the debate until the planning committee, an e-petition has been created to gather as many signatures as possible to support our campaign. 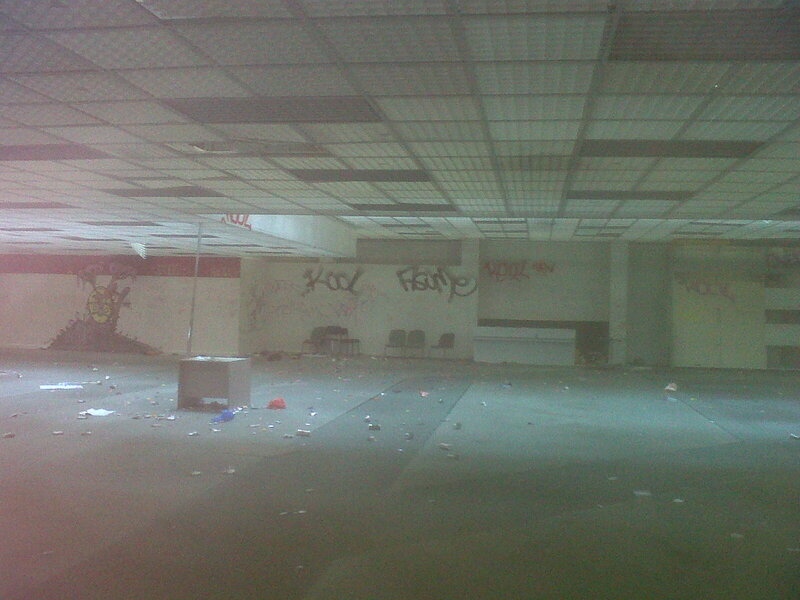 Already, we understand, the Royal Borough have initiated further discussions with LXB to look at this specific issue! Please help us keep the pressure up for common sense to prevail. It is CRAG’s contention that by proposing an access point to a 700-space car park for the proposed new Sainsbury’s and M&S from Woolwich Road (as well as Bugsby’s Way) it will increase, not reduce, traffic in that stretch of Woolwich Road, which is meant to be a residential road with buses. This will have a significant impact on air quality, noise, road traffic accidents and the amenity of local people in Woolwich Road and adjacent residential roads to the south. The impact on air quality (already poor) should be considered on Woolwich Road, and the council should bear in mind its affect on neighbouring roads (which the supporting documents to the application admit could become “rat runs”) and children attending Fossdene School. The impact on noise pollution is measured in the supporting documentation to the planning application to at least one decibel (that is 10% more). Surely a strong case to review the junction on the Woolwich Road? Significant additional traffic will be generated by a Woolwich Road entrance/exit to/from the car park of 700 cars, and much of this will be on Woolwich Road as things are currently configured. The road currently has no traffic calming measures on it, and is the only road signed by the Council/TfL for eastbound access from the A2/A102 to Charlton Football Club and the Woolwich Ferry, and westbound to the Blackwall Tunnel and Greenwich Town Centre. This stretch of Woolwich Road is a Road Traffic Accident blackspot. The last fatal accident there was in December 2007. Allowing cars to go straight ahead from Charlton Church Lane to Anchor & Hope Lane and Bugsby’s Way would make far more sense in terms of access; treating the entrance to Woolwich Road so it is earmarked for access only. Bugsby’s Way can better absorb the additional traffic than Woolwich Road; the junction of Bugsby’s Way and Gallions Road is well planned and the bus lane is to be welcomed, although there will always be an issue with the resilience of the whole road network with “exceptional” events such as the Blackwall tunnel blockage, Charlton Athletic matches, and “only one Woolwich Ferry” in operation. The Gallions Road/Woolwich Road junction for the new development should be altered. The Council should undertake a review of the entire length of Woolwich Road between the Antigallican and the A102 to come up with a plan – potentially funded from the S106 funding that will be attracted by this application – to downgrade the road and direct through traffic along Bugsby’s Way. (a) A bus friendly road “lip” at the fire station/Hardman Road junction – thus not affecting the operation of the fire station adversely but forcing slower traffic at a bend in the road when it appears to be a regular occurrence that speeding cars veer into the wrong lane, and in the last few years a number of gardens have had their front walls rebuilt due to accidents. 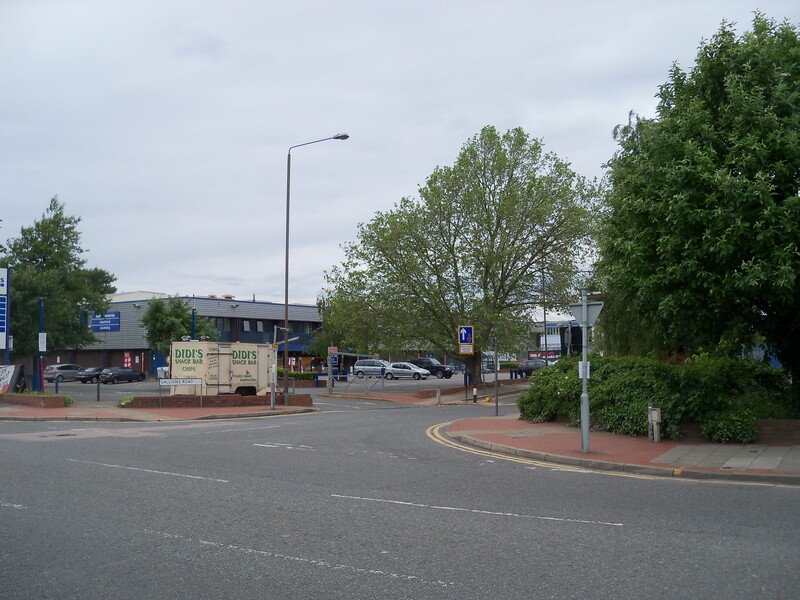 (b) A mini roundabout at the Woolwich Road/Victoria Way junction – incorporating a revised exit for the Travelodge. The developers, LXB, have agreed that this would be within the scope of their plan and would have no objection to this change to their Travelodge scheme. It would be in line with TfL’s “no new traffic lights” objective, and it would also ensure slow down traffic as well as assist local traffic to turn in and out of the Victoria Way junction. (c) New signage – directing through traffic away from the Woolwich Road and down Bugsby’s Way. (d) A 20 mph speed limit enforced by traffic cameras and/or “watch your speed” digital signage. (e) A review of the Charlton Church Lane junction. 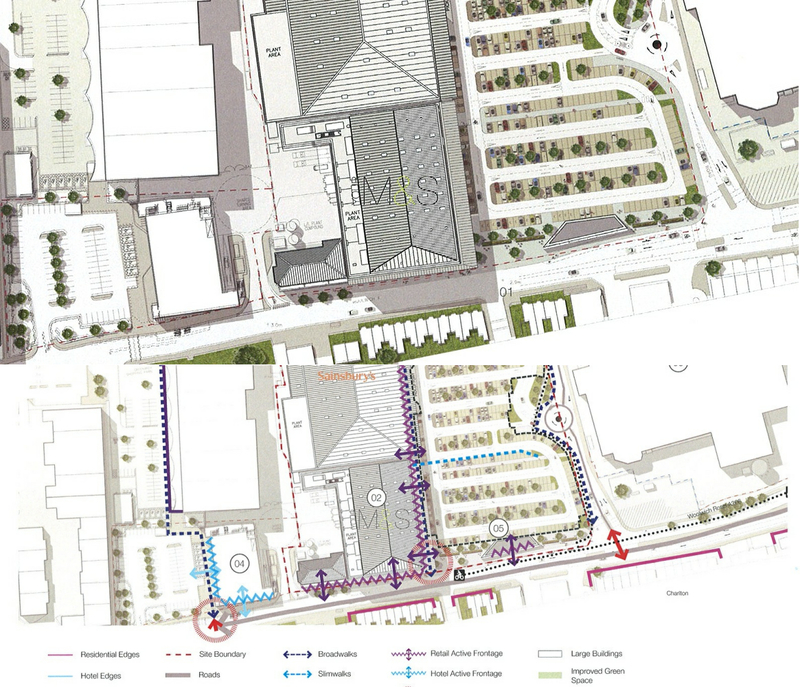 These traffic calming measures should be considered regardless of the Council’s planning decision in this application, but to not link these explicitly would be to deny the significant affect on traffic that this new M&S/Sainsbury’s will have in an already congested area regardless of any move to direct traffic away from Woolwich Road. As the residential link, it makes more sense to make the vehicular access to the new M&S/Sainsbury’s solely from Bugsby’s Way and to reserve Gallions Road for cyclists and emergency vehicles. This would then enable the Woolwich Road to become more pedestrian friendly, encouraging local residents to walk to the stores and being a friendly way for bus and rail passengers to enter the development. Please help by signing the e-petition (if you haven’t already). 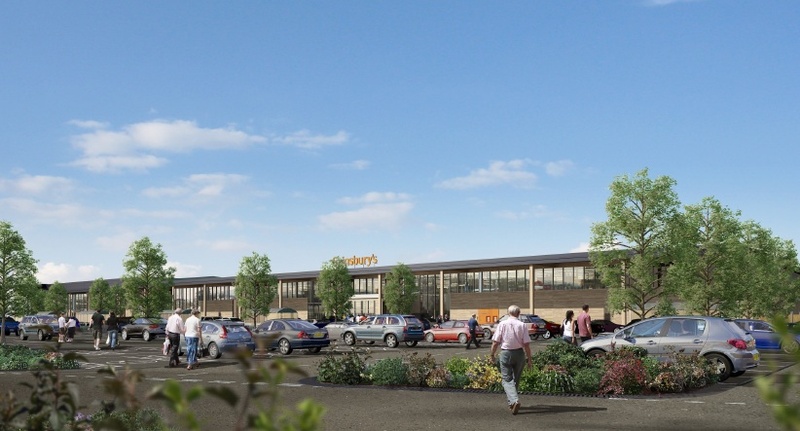 The consultation period for the public to put forward their views on the proposed Sainsbury’s and M&S development ends on May 29th. You can comment yourself by following this link. Following on from our last open meeting, the Charlton Riverside Action Group have arranged another get-together that will allow people to chat with the developer behind this project. It’s short notice, but it will be held at the Charlton Liberal Club (non-political), 59 Charlton Church Lane, SE7 7AE on Wednesday 23rd May at 7.30pm. We’ll have a representative from LXB who will talk in detail about the application and can answer any questions you may have. We’ll then urge everyone to send in their own feedback before the end of the month. And just in case you didn’t know already, CRAG is a non-political group made up of concerned local residents that have come together to try to improve the local area. We’re concerned about traffic, pollution, improving public transport and cycling routes, and ensuring that one of the last underdeveloped areas of river-side in London is used for the benefit of local people. We are all local residents and hope that we can re-establish a greater sense of community to improve our area jointly – in partnership with the council, local businesses and developers. We’d love you to get involved too. 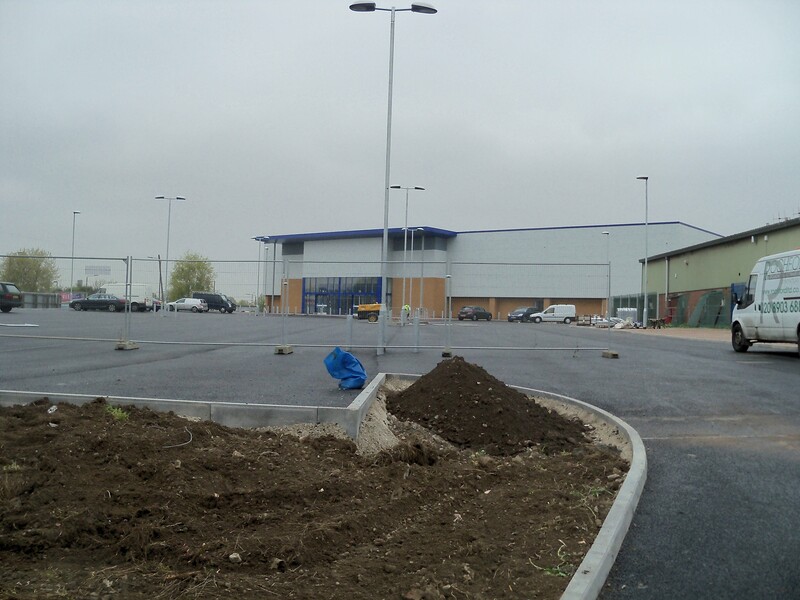 The new Wickes DIY store in Charlton opens later this month. 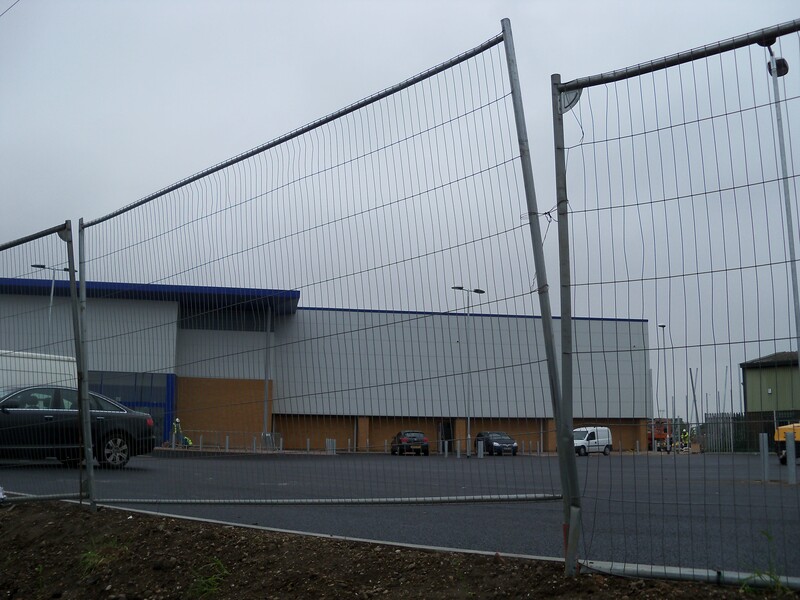 It means a move over to Bugsby’s Way at the northern end of the retail park from its current home facing onto Woolwich Road. Here’s a first glimpse at what it looks like from the outside. Just look at that car park – plenty of room. Luckily, there’s more car parking than we used to have when it was a Lidl. Looks more than there is at the current Wickes, which must be a good thing as it’s always jam-packed. Can’t see any trees, but that surely means more room for cars. With increased gate receipts at Charlton Athletic after their recent promotion, surely match day parking won’t be a problem anymore. Wonder how the developers will fare with their next project. ?